Finally, it all came together earlier this month with a chicken I received last fall as a member of a CSA program run by Judith Winfrey and Joe Reynolds. 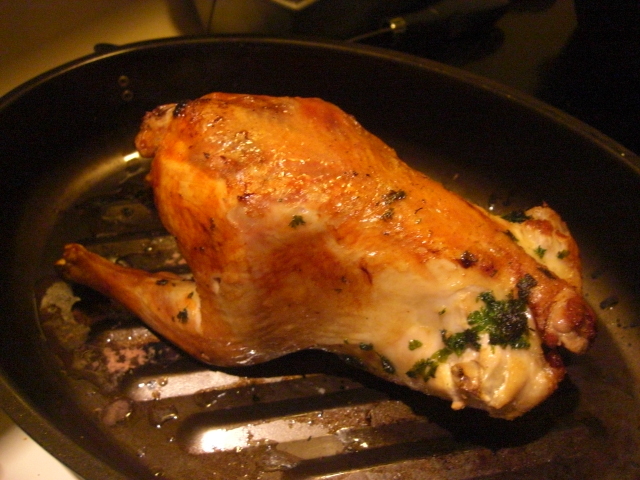 I used local parsley and garlic and some not-so-local olive oil and roasted the chicken in a large cast iron skillet as Mark Bittman recommends in How To Cook Everything. That’s a pretty good result for me! I didn’t serve it on a platter; I let it cool and then carved and pulled the meat. Don't panic! I microwaved the meat on the left for a minute. A little too pink, it was. I grew up preferring dark meat because white meat always seemed so dry. 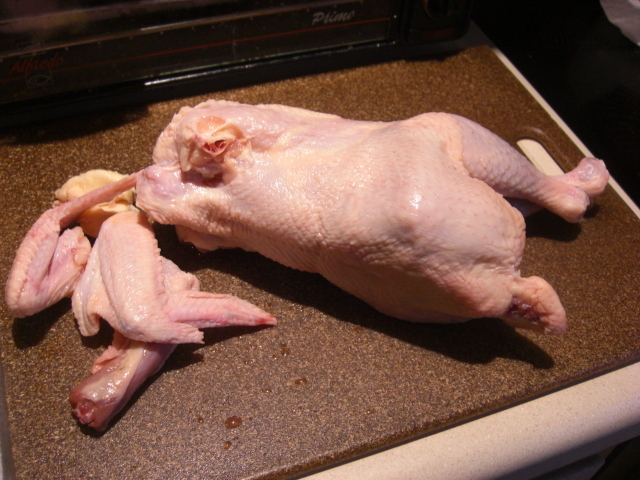 But every time I eat a local bird, I’m blown away by the white meat. It’s got wonderful texture and flavor and isn’t dry at all. 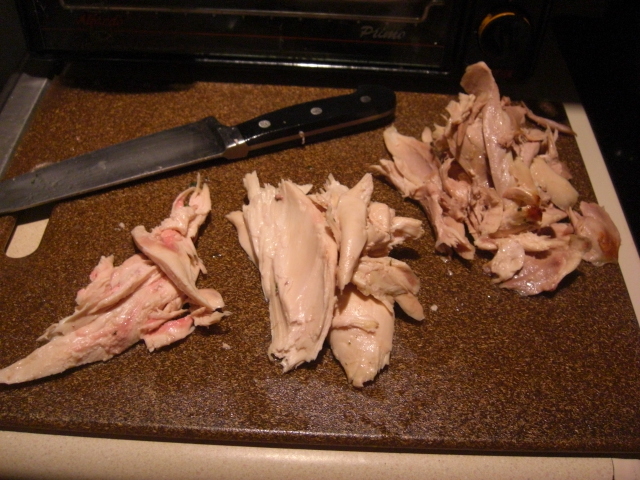 So one night we ate the breast meat with some au jus. Honestly, I don’t remember now what we did with the dark meat. Probably a combination of sandwiches, salads, and snitching from the fridge. The stock turned out well, too. 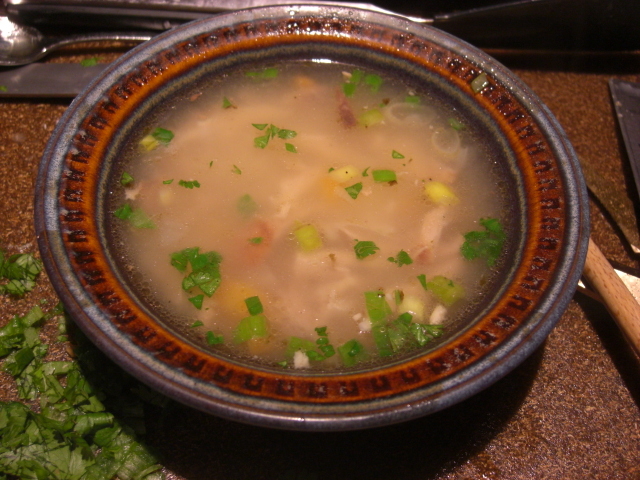 After everything had cooked and cooled, I strained the liquid and picked off the rest of the meat to make soup. Homemade Chicken Soup: also starring local green onions, carrots, Asian turnips, cilantro, and semi-local Carolina Gold rice. 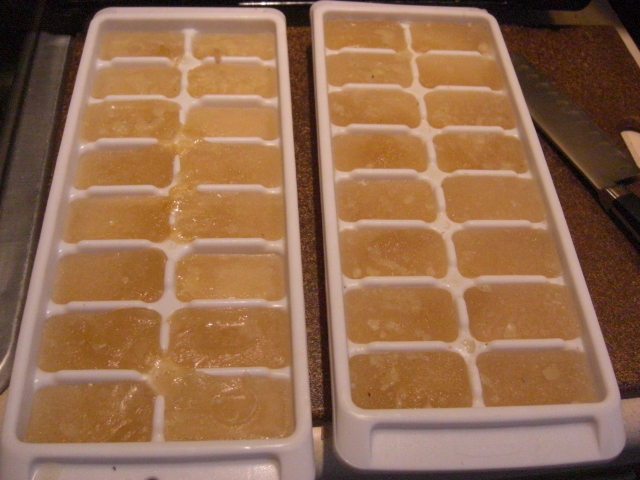 After making the soup, I poured the rest of the stock into ice cube trays for fast freezing and easy retrieval later. I’ve used a few cubes in a recipe since. They’re lots of fun to have around! 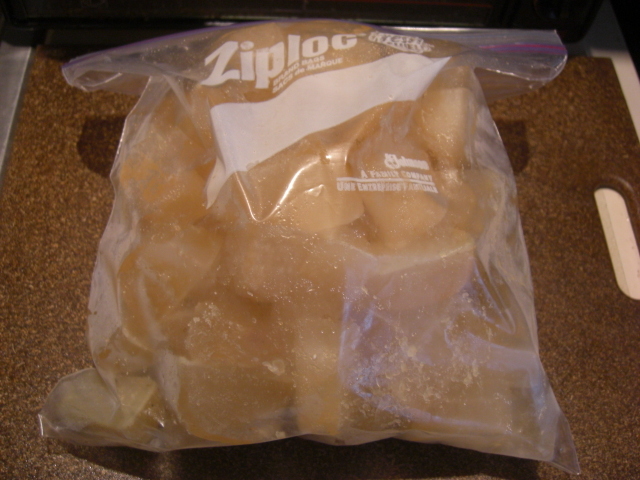 Another note: I tried to follow directions and skim the fat from the stock before freezing it, but there was hardly any to skim. Attempting to skim a 1/16” layer of fat is one Sisyphean task! I guess spending your life running around after bugs and each other is good for chickens because mine was in awesome shape. All in all, a small kitchen victory. Glad to have eaten chicken, glad to have stock, and especially glad there’s another bird waiting in the wings of my freezer! http://www.nourishedkitchen.com – what a great site! Do you truss your chickens? Do you find it worth it?